If you know me, or have read my blog for even a few weeks, you understand that music is a huge part of my life. At Christmastime and the holidays? I’m even more consumed by music and the jolliness it brings out in me. It’s just so cheery and festive – how can you not love it? Usually, I reserve Music Monday posts for a single song that’s currently my jam, but today, in the spirit of the season, I’m sharing with you my carefully curated Christmas playlist. It’s been 2 years in the making and I’m sure I’ll be adding to it throughout the season. The playlist is chock full of my favorite songs – from Nat King Cole, Louis Armstrong and the Vince Guaraldi Trio to Sting, Paul Simon, Natalie Cole, Mariah Carey and even a couple of Hanson tunes – there’s sure to be music to fit everyone’s tastes. Last Thursday, we won the lottery. Again. We got to attend the taping of Norah Jones at Moody Theater for Austin City Limits on PBS. She was absolutely charming and equal parts demure and witty. 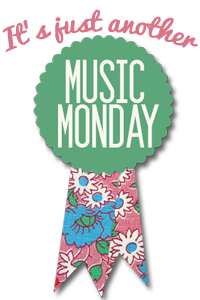 This Music Monday is very special to me. Today marks our first wedding anniversary (I can’t believe it’s already here) and this is the song to which we had our first dance. Rest assured I’ll be reminiscing about October 15, 2011 all day today. I’m so incredibly lucky!